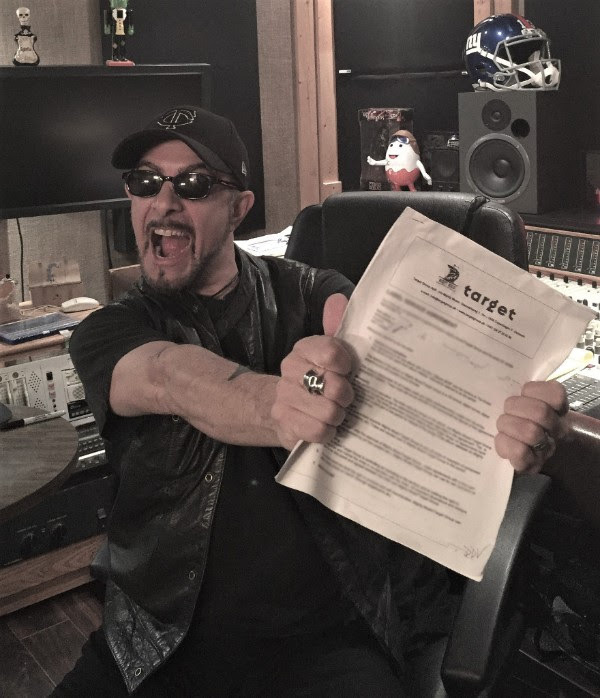 OVERKILL songwriter and bassist D.D. Verni will release his debut solo album in October through Mighty Music. The effort features guest appearances by a number of guitarists, including Jeff Loomis (ARCH ENEMY), Angus Clark (TRANS-SIBERIAN ORCHESTRA), Jeff Waters (ANNIHILATOR), Bruce Franklin (TROUBLE), Mike Romeo (SYMPHONY X), Mike Orlando (ADRENALINE MOB), Steve Leonard (ALMOST QUEEN) and Andre “Virus” Karkos (DOPE) who also contributed the rhythm guitar tracks. Rounding out the group is former OVERKILL drummer Ron Lipnicki. The record was mixed and mastered by Chris “Zeuss” Harris (ROB ZOMBIE, QUEENSRŸCHE, HATEBREED). The first single, “Fire Up”, features Orlando. Verni states: “I’m psyched to get this disc out. We had a lot of fun and a lot of great players contributed. In addition to 18 OVERKILL albums, Verni has four releases with his side band THE BRONX CASKET CO. So why do a solo record? “Well I never really stop writing material, and after some time, it starts to pile up and take shape and I wonder what it will be,” he explains. “In the past, anything that was not OVERKILL material I would put aside for my other band THE BRONX CASKET CO., but when I starting pulling these songs together, it was clearly not that, and I thought, ‘Okay, I guess it’s a solo record.’ The material was kind of metal and kinda rock and kinda punk, so those really are my basic influences. In OVERKILL, I take all that background and funnel it into our thrash sound. But these songs were not thrash but a combination of the other stuff.